The friendly neighbourhood DVD express in Aundh is shutting the shop. They have been there for years together and has provided entertainment to generations of movie buffs. They are selling their incredible repository of movies in English, Hindi and Marathi. They have a great collection of Bengali movies which included work by Satyajit Ray, but that has been sold. 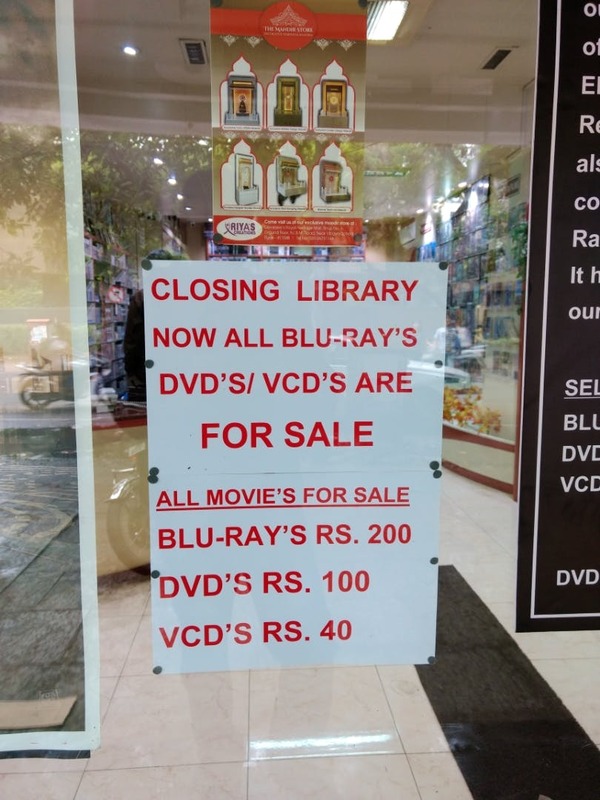 But they are still having a clearance sale so if any of you movie buffs want to add to their movie collection, they should rush to DVD express to get Blue Rays, DVDs and VCDs at INR 200, 100 and 40 respectively. It would be better if they did not decide to shut the shop.